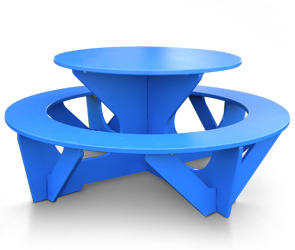 This unique round kids picnic table is designed specifically for children. The angled benches contour to the table. The table features a generous 31-1/4" diameter top and its smooth surface makes clean-up a snap.